The information sheet is a rolled up poster on one side. This month’s poster is just awesome – definitely frame-worthy. On the back – you’ll get all of the details on your items. It also always has an XBox code for digital in-game content. UNSC Data Drop – Estimated Value ? The boxes typically come with a ‘Data Drop’. This month’s data drop was a bit less involved than the typical data drop – but, that being said, this battle tank blueprint is pretty great. Tank Pin – Estimated Value $5? This month continues the Halo vehicle pin set with the battle tank. Jorge-052 T-shirt – Estimated Value $15? The exclusive shirt has a graphic that features Jorge, the heavy weapons specialist from the Noble team. This was very soft and fits my husband great. I also love the color. UNSC Jorge-052’s Journal – Estimated Value $10-15? 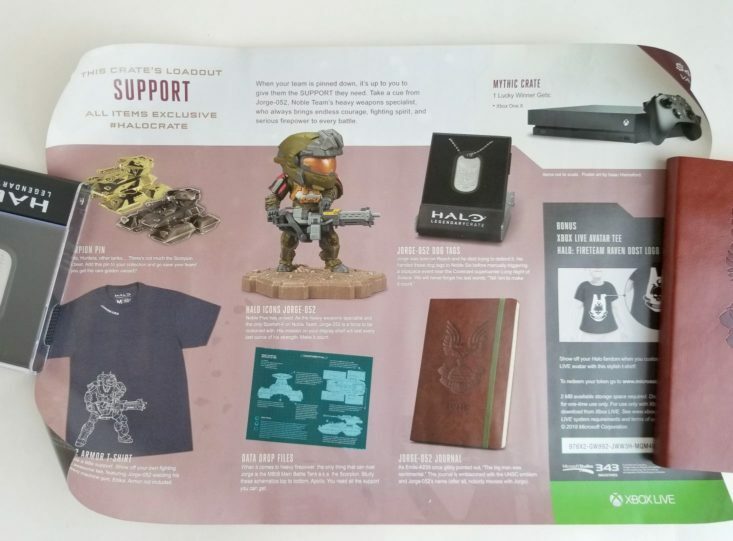 Jorge kept a journal in the Halo games, and it was really cool to see it represented here in the form of a notebook! The leather-bound notebook has a UNSC symbol embossed on the cover and has an elastic band to keep it closed. Jorge-052 Dog Tags – Estimated Value $10? These dog tags are really nice! They came in a well-designed plastic case that you can open and it sets up as a display. The tags are metal with silicone borders. One has Jorge’s information and the other has the UNSC symbol. Halo Icons Jorge-052 – Estimated Value $25? This month’s figure goes with the Support theme of the box. They’re highly-detailed little vinyl figures with the big head style. This month’s figure is, of course, Jorge-0521 of the Noble Five who is the heavy weapons specialist, providing invaluable support for his team. Verdict: This is my first Halo Legendary Crate and I had a lot of fun unboxing it! The figurine is cool, the tee is a nice style/graphic, and I was pleasantly surprised to see that the other items like the journal and dog tags are a nice quality. Can I still get this box if I sign up today? No, the current theme can be found on their landing page. Value Breakdown: This box costs $36.99 + $5 shipping, which means that each of the 6 items in the box has an average cost of $7. 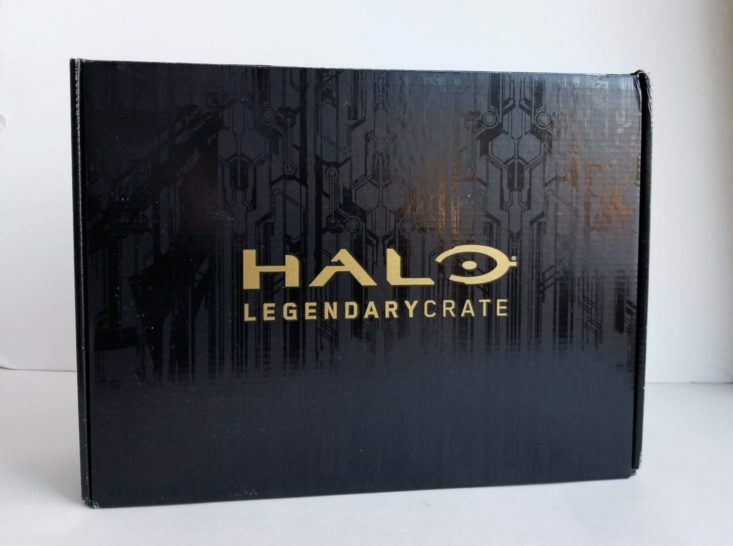 What did you think of the December 2018 ‘Support’ Halo Legendary Crate?